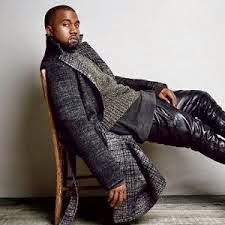 Is Kanye West Leaving Hip Hop For Fashion? Is Kanye West ready to hang up the mic? According to Page Six, a close source has revealed that Kanye is considering retiring from his music career to focus on fashion. The source said this decision came about due to lack of time for projects outside of music and his upcoming line with Adidas has already been pushed back four times. “After his next [collaboration] with Paul McCartney comes out, he’s going to step away from music and concentrate on clothing. He got a $15 million signing bonus from Adidas, but his line has been pushed back four times because he hasn’t had enough time to work on it,” the source tells Page Six. Kanye West has been in the music business for nearly two decades. He is one of the most controversial yet creative artists in the hip hop game.